In 1978, the famous horror movie “HALLOWEEN” came out. This is exactly the scenario, which the game developer Microgaming is referencing in its new slot game. Initial access to this slot machine will give you goose bumps already, because not only the music, but the symbols come with a touch of the creeps as well. 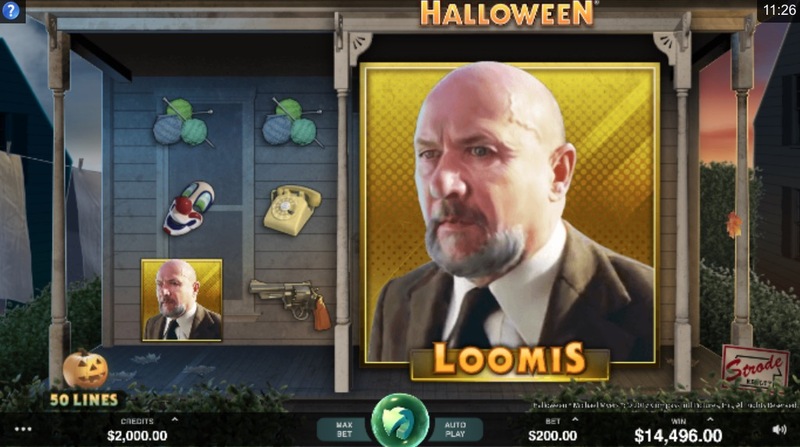 As a player, you have the option to either choose the desktop version or to play this creepy slot game on the go on either your smartphone or tablet. 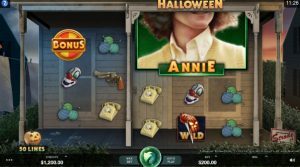 HALLOWEEN is a classic five-reels slot with three to four rows. This results in a maximum of 50 pay lines, which can provide some scarily nice profits. 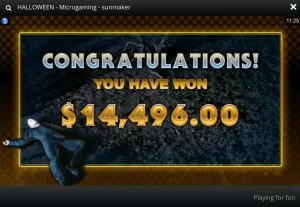 Microgaming combines different ways of winning. Both cash and free games are up for grabs. Wandering Reels Feature: Thanks to this feature, a reel group, which consists of a maximum of three reels, can be rotated simultaneously. The reels then stop in one of three possible positions. This position determines the lines and played reels. In addition, the wandering reels also contain jumbo blocks – these are large symbols that spread across several reels. 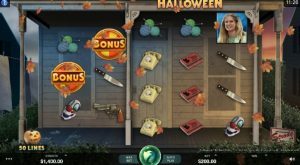 Scatter: Much like many other slots, HALLOWEEN also comes with a scatter symbol, which provides free games. However, the free games that this slot offers are a little different. If at least three scatter symbols (BONUS) appear, the “Trick or Treat Wheel” feature is activated. You are allowed to turn the reels and bag good money. 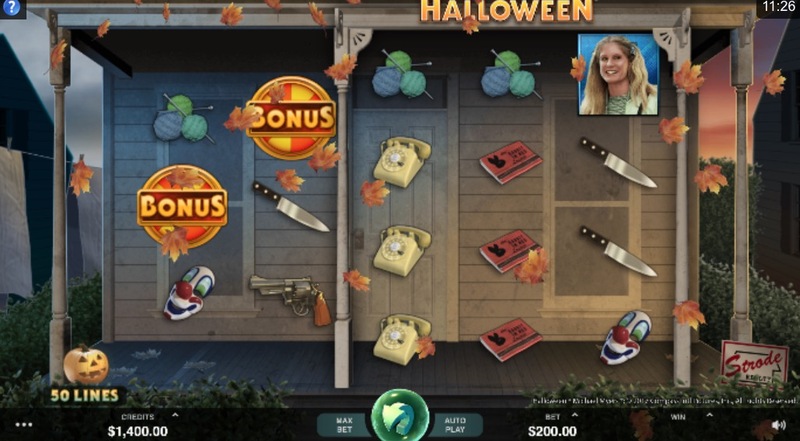 Keep turning the reels until you either score the “Boogeyman Bonus” feature or the “Free Spins” feature. 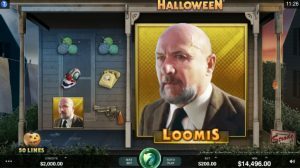 “Boogeyman Bonus” feature: You can look forward to a “Pick & Win” game and also make a lot of money as the game is equipped with a multiplier. Whenever you win, the multiplier increases by one. If ten cash bonuses appear on your reels, you will even receive a 20-fold multiplier. 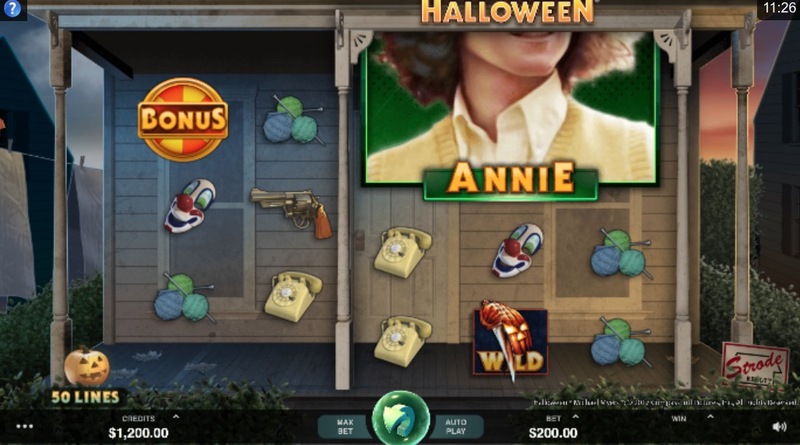 Beware of the “Michael Myers” symbol, however, because this will cause you to have to give away half of your profits in the game and this feature will no longer be available thereafter. “Free Spins” feature: This feature provides you with nine free games, which you can use free of charge. It is activated when Lynda, Loomies, Laurie, or Annie appear on the reels. Anyone who detects Laurie on their screen in the appropriate frequency can look forward to the highest profits in HALLOWEEN. 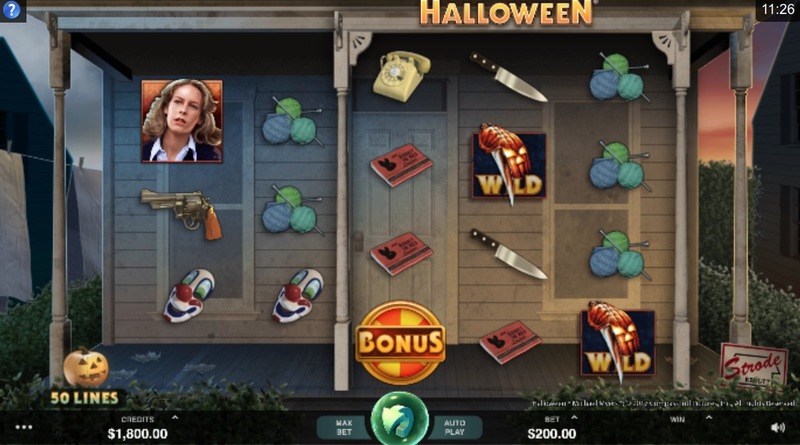 The classic HALLOWEEN logo is of course part of a spooky slot machine of this kind. In this case, it represents the WILD symbol, with which other symbols (except the bonus) can be replaced for a winning combination. 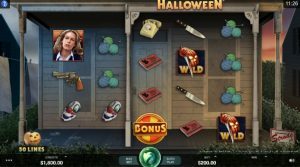 The HALLOWEEN slot machine is not only terribly beautiful, but also brand new and you can play it at the Sunmaker Casino. 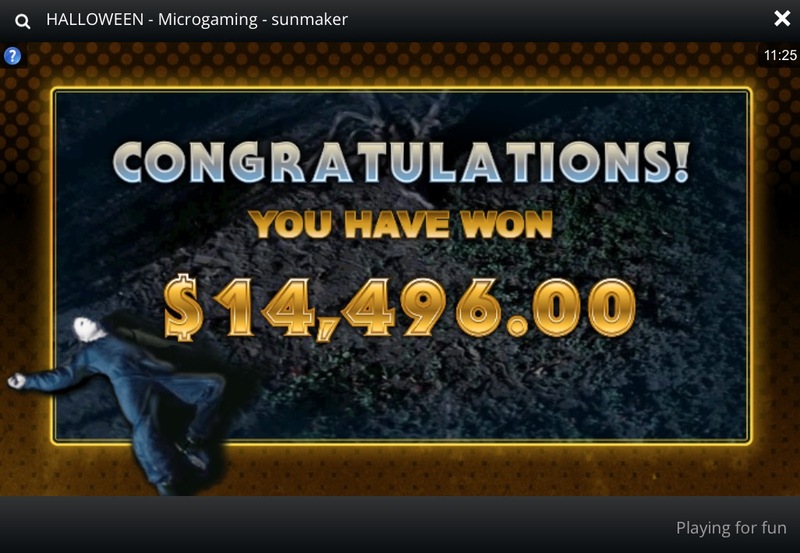 Microgaming enchants the fans of this classic horror movie with its unique mechanics and a first-class chance to win. Since the minimum stake is as low as 50 cents, getting started is quick and easy. A maximum bet of 200 euros can be placed. Even horror fans, who are not yet familiar with the movie and thus do not know the symbols, will be getting their money’s worth. You do not have to be a horror expert to find out how to activate the various exciting features. And who knows: After playing this slot, you might just want to watch the horror classic from 1978 all the more.